Ashley Winsky, a partner and trial lawyer in the firm’s Richmond office, maintains a diverse litigation practice. 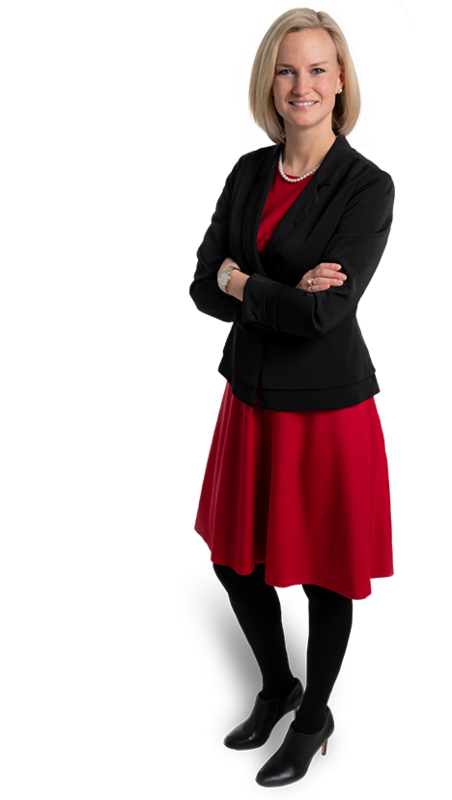 Whether representing a plaintiff injured in a traumatic accident or defending a company against false or exaggerated claims, Ashley listens to her clients and works tirelessly to advance their objectives. Comfortable in the courtroom, Ashley has tried cases before both judge and jury in state and federal court. She is equally effective in mediating disputes to save clients the expense and exposure that comes with protracted litigation. Ashley has nearly a decade of experience defending motor carriers, railroads, amusement parks, bus companies, product manufacturers, and business owners against a wide array of personal injury claims. Ashley has also represented individuals in wrongful death and catastrophic injury claims. She has been consistently recognized in the transportation arena by Chambers USA and named a “Virginia Rising Star” by Super Lawyers. That I represent tractor-trailer companies. I never imagined I would be a trucking lawyer, but I truly love the variety and complexity of these cases. Most jurors are not keen on sharing the highway with big rigs. They see intimidating 18-wheelers and not the dedicated, hardworking drivers on the job. I enjoy the challenges these cases present, and I have been fortunate to meet some really amazing people in the industry along the way. Are you a plaintiff or a defense attorney? An attorney I met in a bar several years ago argued that all attorneys—deep down—can only be one or the other. While many attorneys prefer to stay on a particular side, I am both, and I am a stronger and more effective advocate for it. I analyze each case from multiple vantage points. Putting myself in the plaintiff attorney’s shoes helps my defense clients, and vice versa. You joined Gentry Locke in 2019, but you’ve used a Gentry Locke umbrella since 2007. Why? It’s a quality umbrella! In law school, I interviewed for a job with Gentry Locke on a rainy day, and the firm gave me an umbrella. It’s been my go-to umbrella ever since. Twelve years later I joined the firm, and now I get to give Gentry Locke umbrellas to my clients. Interview, “How Plaintiffs Use Commercial Vehicle Regulations to Turn Simple Negligence Into Driver Malpractice,” Corporate Counsel Business Journal, September 11, 2018.